PTE Academic is the globally accepted English test for study abroad and immigration. With TCYonline, you get access to numerous PTE sectional tests that cover skill areas of Speaking, Reading, Writing and Listening. TCY also offers simulated mock tests replicating the exact test conditions. These mock tests are available with/without evaluation. Then there are strategy videos for each section, and expert-assisted Video Classroom Sessions explaining and exemplifying each skill/question type tested in PTE Academic. 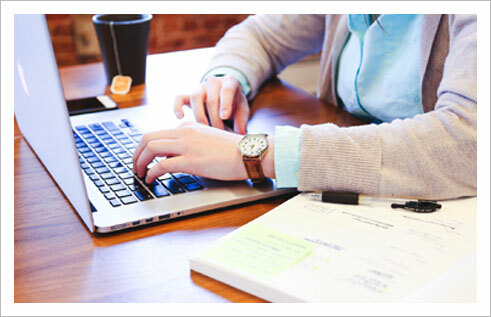 You can get your Exam Voucher, pay the PTE Exam Fee and do the PTE booking through TCYonline. Feel like you've hit a roadblock? Get access to our Premium Video Sessions and learn strategies to deal with all the item types in PTE Academic. Supplement your learning with our Online Tests in all skill areas (Speaking, Writing, Reading and Listening) and watch your scores improve! Get Your Predicted Score Now! Save yourself the effort and get your Writing and Speaking tests scored through TCY’s Certified PTE Experts. Know the areas that you need to improve from your test reports. 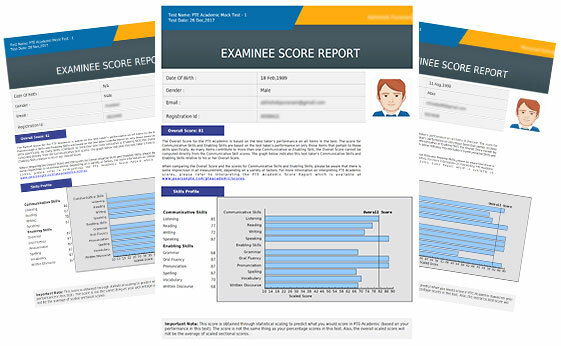 These reports are akin to official PTE Academic test reports.